Excitement is building for a wheelchair rugby series featuring two of the top teams in the world that will face off in Birmingham, Alabama beginning on October 7, 2014. The U.S. 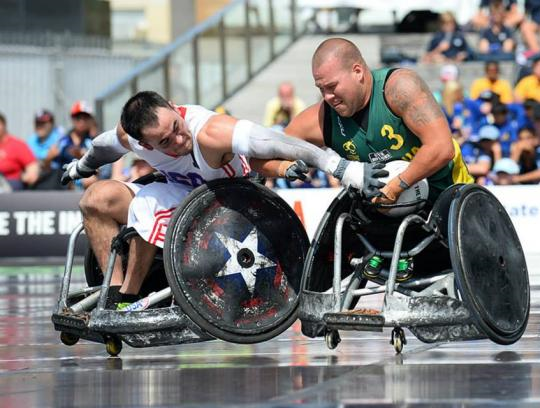 Wheelchair Rugby team and the Australian Steelers will converge on Lakeshore Foundation, U.S. Olympic & Paralympic Training Site, for a training camp and competition series. Team arrivals for the event begin on Thursday, October 2nd followed by four days of training. Then on Tuesday, October 7th, the first game between the teams will be held. A complete game schedule is below.